The village school started life in the hall by the Church, and moved to the present site in 1895, in the building which is now known as The Old School. Today, there are approximately 150 pupils ranging in age from 4 to 9. Almost all pupils continue their education at Hugh Sexey Middle School, in Blackford, leaving there aged 13 to attend The Kings of Wessex Academy in Cheddar. 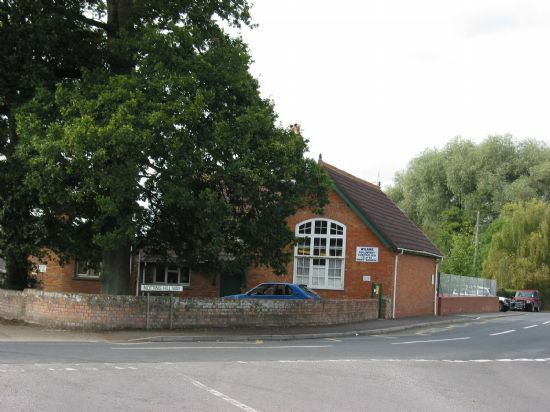 On 1st April 2011, the school's excellence was recognised by the coalition government and it became the first Primary School in Somerset, and the first First school in the country to be awarded Academy status. An Ofsted inspection in October 2007 graded it as 'An Outstanding School', putting the school in the top 5 per cent nationally.